Well last week has been pretty interesting! First, I was shot at last Tuesday the 22nd with my companion while we were on exchanges. As you may know this has sadly been happening in the Phoenix area, but not Mesa. But I’m fine, it was just scary. Second, this week I got a new companion straight from the MTC who I’ll be training. His name is Elder Catmull and he is an actual Windows Technician. It's really nice to be able to talk with someone who knows computers. My previous companion basically knew how to turn the computer on, and that's about it. 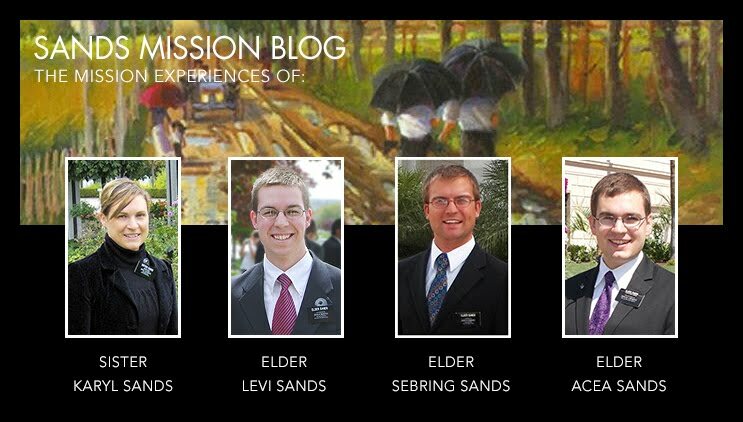 He will be replacing Elder Hodges as our mission Tech Specialist because of his training. Let’s just say that we set up his iPad very quickly. We're getting along great! Right now we're helping a lot of our new investigators (and others) get to the temple to do baptisms for the dead. What a wonderful blessing it is to be able to do work for those who have not had the opportunity to get such wonderful blessings here on earth. A pretty interesting week. We've had a few good lessons but mostly this week has been a drop down from our recent success. Several of our lessons fell through and we're losing so many of our investigators due to moves and such and even bigger changes are coming. So now we're seeking for as many people who would be interested in the Gospel as possible. One of the people we contacted on a list from our bishopric has been progressing from the moment we contacted him. He had been less-active for a few years and from the moment we came and invited him to go back to the Temple, he's been coming back to church, getting involved with activities and becoming friends with many people in the ward. He's such a wonderful example of what can happen as we keep focused on those people not coming to Church. We shouldn't just focus on who showed up on Sunday, but more so on who didn't show up. This last week I had my first baptism! Yay! Shawna and LJ were both baptized on Saturday and confirmed the follow Sunday as full-fledged members of the Church of Jesus Christ of Latter-day Saints. I was the one who confirmed LJ. I also played a special musical number in our ward that day. Story: I played a song for a dinner message at one of the member's homes (big mistake)-they were instantly were on the phone with the ward music director and the next day they had me to play a special musical number during sacrament meeting. Thankfully, I keep a few songs under my fingers for situations such as this. It's kind of nice to be going back to that way of doing things. In the Deaf Branch, there are no intermediate hymns or special musical numbers, so it was a nice change of pace. We've been having about 9 people on average coming to church every week since I’ve been here. We're one of the busiest areas in the mission. This last week with all of the duties of a district leader, we literally didn't have time for lunch some days. We just had too many appointments. It's amazing how much the Lord blesses you when you try. It reminds me of this quote: "God does not begin by asking us about our ability, but only about our availability, and if we then prove our dependability, he will increase our capability!" Remember that quote, not only is it true in the gospel, but also in many aspects of our everyday life. It's truly amazing how gospel principles/ideas carry over into just about everything, making it better. Last week was wonderful, but I expect this next week will be a little bittersweet. We had several great lessons and many good visits and lessons with our investigators and less actives. This week, we're baptizing two of our investigators, Shawna and LJ, which is wonderful. They are just wonderful people who are really progressing. The bad part is that we have to find people to replace them. This isn't a last minute thing, we've known these people are going all the way and have been searching for more people to teach, but it's hard to replace those golden investigators who want nothing more than to learn more about the gospel.